We know that keeping your family healthy is important. Air quality can be a big factor when it comes to reducing allergies, asthma, and other symptoms like dizziness, headaches, nausea, and more inside your home. When it comes to air quality systems, the Peninsula team chooses to install Carrier indoor air quality systems. We know that Carrier produces a range of air quality products that are advanced when it comes technology, efficiency, and reliability. If you are looking to improve the air quality in your home, contact the team at Peninsula online or call us at 302-629-3001 today. Carrier designs and manufactures a large range of indoor air quality products. These products work to clean the air in your home of irritants so that the air in your home remains clean and comfortable. Air Cleaners – Carrier offers three different air cleaner/purifier series. Each series offers either germicidal or standard air cleaning practices. Each system filters the air through filters, killing germs, viruses, allergens, and mold, sending clean air back into your home. Humidifiers – If you have dry skin, sinus issues, or you find the air in your home is stale, a Carrier humidifier can help. Carrier offers both steam output whole house humidifiers and fan powered humidifiers to help you make the best choice for your home’s needs. These systems run efficiently and quietly, delivering moisture to your home’s air. Dehumidifiers – If mold and mildew build up easily in your home, or you feel like you are living in a tropical jungle, a whole house dehumidifier can likely resolve the issues you’re experiencing. Carrier’s Performance Whole House Dehumidifier removes excess moisture from your home’s air using sensor technology. Ventilators – Newer homes are often very tightly sealed. While this can be effective when it comes to your heating and cooling systems efficiency, it can leave your home feeling stale and sticky. The Carrier range of ventilators is made up of energy recovery ventilators and heat recovery ventilators. These systems quietly go to work to replace stale air with fresh air while keeping your home comfortable. UV Lamps – Mold and mildew build-up within your heating and cooling systems can wreak havoc in your home. Carrier UV lamps are installed inside your HVAC system to kill mold and mildew spores before they enter your home. If you have issues with your home’s air quality, the team at Peninsula can help you choose the right Carrier air quality system. Don’t suffer the consequences of poor air quality! Contact our team online or at 302-629-3001 today to learn more or to schedule an appointment. If you already have a Carrier indoor air quality system in your home, and you are in need of repair or maintenance, the team at Peninsula can help. Our trained and certified staff have the knowledge and skills to work on your Carrier systems. Contact the team at Peninsula today for Carrier repair and maintenance services. The team at Peninsula believes that the Carrier brand represents high-quality systems that are efficient, effective, and long-lasting. We believe in the Carrier brand so much that we completed the training and certification necessary to become a Carrier Authorized Dealer. 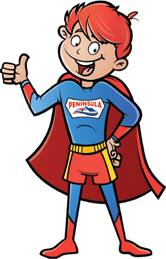 If you’re looking for the best air quality systems that can be installed in your home, contact the team at Peninsula today. We can help you with all your Carrier installation, repair and maintenance needs. Contact us online or give us a call at 302-629-3001 to schedule your appointment or to learn more about our Carrier system services. 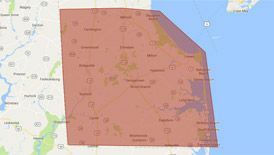 To find out more about air conditioning services in Delaware or Maryland, contact us today!